Ray Kroc, the founder of McDonald's, sold paper cups and milkshake mixers until he was 52, according to an infographic from San Francisco-based startup organization Funders and Founders (below). Meanwhile, the founder of cosmetic behemoth Mary Kay, Mary Kay Ash, sold books and home decor objects until she was 45. Fret not if you are over 40 and have yet to start your own business. There’s still time. And chances are, if you’ve worked a while, you’ve learned a thing or two about life and business that will be helpful, too. 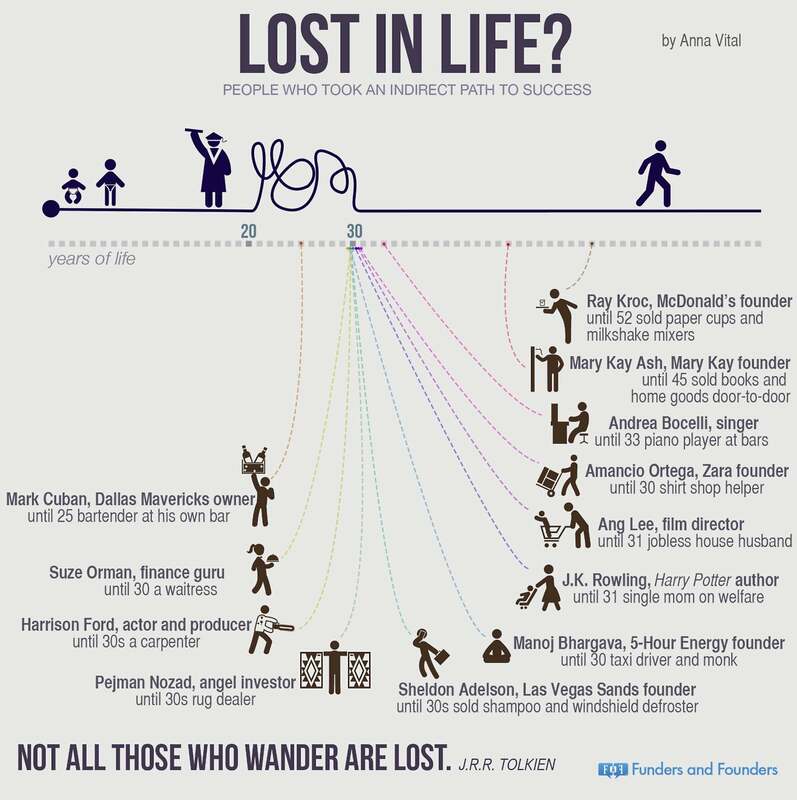 Take a look at the infographic below for more examples of entrepreneurs who launched later in life.